This time of year often passes me by in a blur. Travel, cookies, family visits and work all conspire to keep me dazed. Like sands through the hourglass, so are the days of my life. Then I’m spit out next year. Lately we are redoubling our efforts to thin out stuff, gift it away, and recommit to our very favorites. My eyeglasses broke and not only did I order the exact same replacements but also stockpiled parts from all the half broken or just plain ugly ones I’m letting go of. I imagine one possible future for myself, on a remote island setting up an eyeglasses repair shop with my very tiny screwdrivers. There’s a book called Sailing the Farm that we are in danger of becoming disciples of. It outlines a post-currency lifestyle where goods and services are bartered and it all boils down to how prepared you are. How prepared we are. 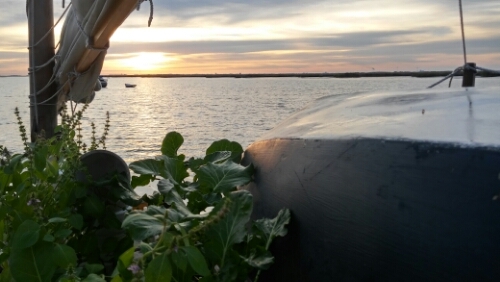 All things being coincidental, we very recently met a pair of sailors on a fully handmade wooden boat, with a greenhouse built into the v-berth and a perfect zero waste nutrient cycle on board. 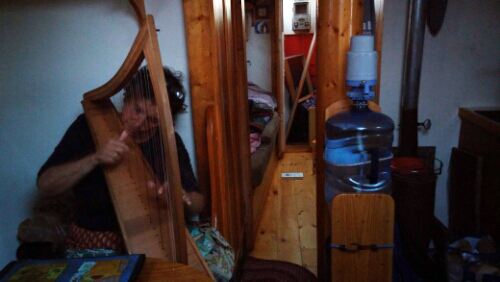 We spent a lovely evening poking around their boat and sampling from their pantry, the whole small space full of laughter and music. I have turned a corner almost fully regarding scarsity. Its now a great joyful game where it was once my greatest fear. Having less and less, but more of what I need, I’m spring-loaded. Lighter and more prepared. § 4 Responses to sailing the farm"
What a small world! These nice folks you met with the hand-built wooden boat and greenhouse in the v birth…Dustin met them in Gateway Marina back in Sept. They said they were headed down the Intercoastal, so D gave them the link to your blog and told them to look out for you. So glad it came to be! Wau thats amazing. Their boat was super tippy in the water but also full of wonderment. We are hoping to meet up further south! PS. was great to catch up – hugs to your boys! They are incredible people, I knew you guys would have common cause.Was the young guy from Chicago still with them? I think he was planning to make a documentary about the journey. 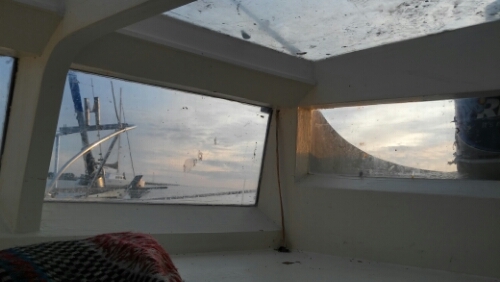 You are currently reading sailing the farm at plankton every day.